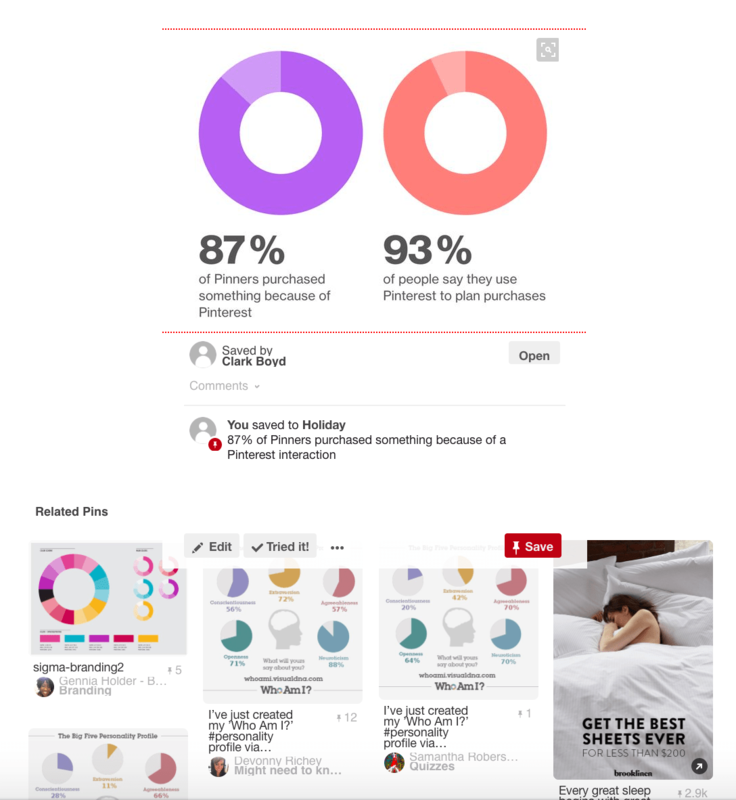 Pinterest has slowly developed into a profitable social media channel for savvy marketers. 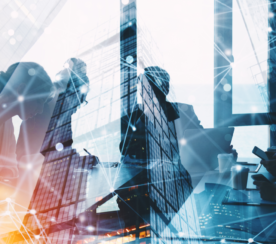 It boasts an engaged base of more than 150 million monthly users and provides a refreshing alternative to Google, Facebook, and Amazon. However, it still represents something of an untapped opportunity for many of us in the SEO industry. As a social media platform, Pinterest seems to sit apart from our Google-focused efforts. We should embrace this difference. 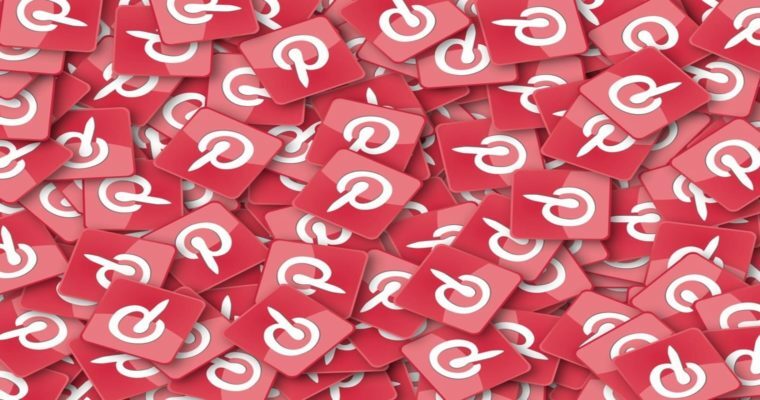 Pinterest provides ample room for creativity and storytelling, while it also prides itself on being a “discovery” platform where Pinners can find new ideas. These are terms that should be familiar to the multi-skilled modern SEO professional. 97 percent of Pinterest searches in 2016 were non-branded. 80 percent of Pinterest’s traffic is mobile. More than 2 billion searches take place on Pinterest each month. Visual search accounts for more than 250 million of the monthly searches on Pinterest. All of this is underpinned by a search engine. It differs from Google or Bing, but many of our time-honored tactics still hold true. Where there is a search engine, there will be an opportunity for optimization. The ranking factors on Pinterest relate more to engagement metrics and social shares than backlinks and technical SEO, but these are natural byproducts of great content. Again, we in the SEO industry should know all about that. There are some important distinctions on Pinterest too, as we would expect. Without understanding the way search results are ranked and what exactly constitutes “great content,” you will struggle to succeed in Pinterest SEO. With that in mind, below are 10 tips to set your Pinterest profile up for SEO success. Create a business account. (You can simply convert your personal account if that makes the most sense.) This will give you access to analytics and the Pinterest ads manager. Choose an SEO friendly username. Your username will be included in your profile’s URL, so it’s worth considering what your consumers might be searching for. Optimize your profile. Fill in the “about you” section with relevant details and include a high-resolution company logo. This will make it easier for people to locate and save your Pins. Set up at least one board. We will go through this in more detail later, but to get started you will need at least one board. You can’t add Pins without having a board, so it’s a pretty important first step. As with most other social media platforms, you can take data from your website to feed more targeted Pinterest campaigns. You can also send people through to your website to make a transaction, so it’s essential to link these two assets together. This requires a few simple but fundamental steps. Get all of these in place if you want to report accurately on your Pinterest SEO efforts. Add the Save button. This one requires just a short piece of HTML code and will allow you to increase the reach of your campaigns beyond Pinterest. Once installed, users can save images on your site or app to their boards. There are two options: The button can appear automatically or when users hover over the top-left section of an image. Choose wisely. There is also a Pinterest Chrome extension that will allow visitors on your site to convert your images into Pins. Verify your site: A few easy steps will verify your website, which will add your profile picture to all of your Pins. Again, this only requires the addition of a few lines of HTML code. Lead times on Pinterest can be much longer than you’re used to on Google or even Facebook. The image below, taken from a Pinterest study, demonstrates just how valuable this social network can be as a lead generation tool, however. 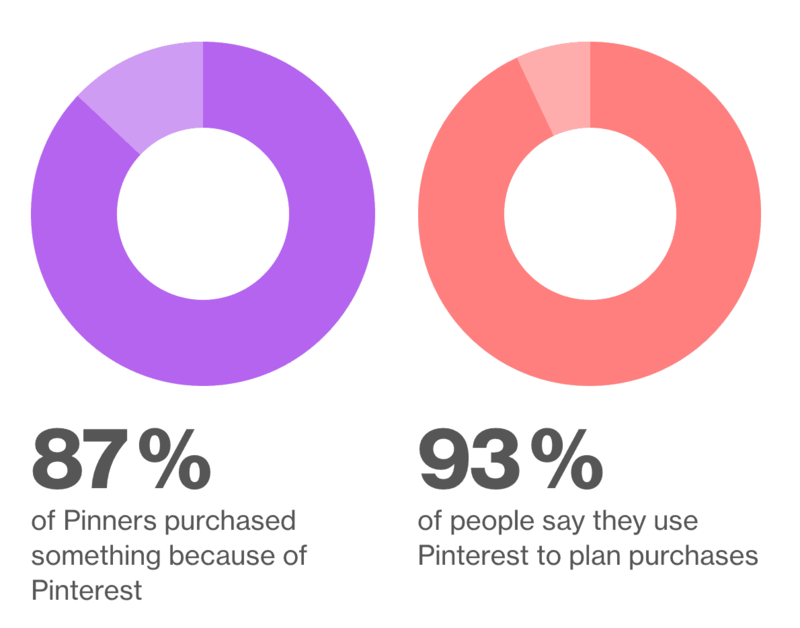 Therefore, although it entails a different type of user engagement, Pinterest also fills a gap in the purchase journey. The most important element of this planning is to understand what Pinterest means for your business and set appropriate goals. You will get a sense of this from looking at your historical data, so use this to formulate a plan you can stick to. From here, you can decide which aspects are most suitably covered by organic search efforts. You can use the Pinterest tag to set up a wide variety of conversion events on your site, too. I would advise starting with metrics like traffic and re-Pins within a Pinterest SEO campaign, before layering conversion goals on top of this activity. Wait to start pushing overtly commercial messages until you’ve earned the trust of both Pinterest and your audience. Albeit through a slightly different lens, there is still a lot of validity in carrying out keyword research on Pinterest. In fact, as Google continues to aggregate and obscure keyword-level search volumes, there’s an argument that we should use Pinterest as a data source for all keyword research tasks. It provides a broader view of semantically related concepts and is driven by a deep understanding of how visual our culture is in the 21st century. Use guided search. 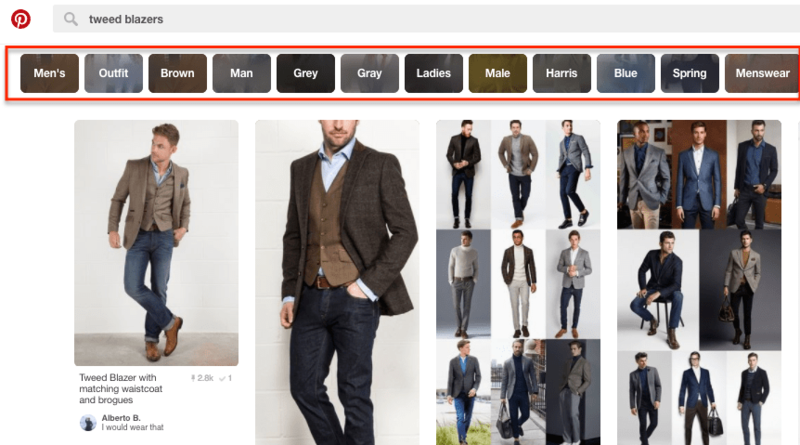 Guided search on Pinterest helps users narrow their focus and find more relevant results. Using the initial search query as a stimulus, Pinterest automatically suggests semantically related modifiers. These are a pretty good indicator of the most popular search queries for each topic. You can then copy and paste these suggestions into another document. Engage with Promoted Pins. The logic here is similar (identical, in fact) to that which leads us to use AdWords to trial specific keywords to see how they perform before launching a long-term SEO campaign. If you have any hesitations about the right topics to target, you can take your best-performing keywords on Google and use Promoted Pins to see if they follow suit on Pinterest. Explore topics. Pinterest does a lot of the legwork for us here, with topics already neatly categorized and sub-categorized in most areas. 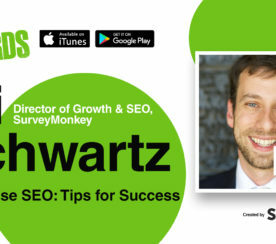 You should explore all topics relevant to your business to see how ideas are categorized, but also to see how your competitors are targeting specific queries. Your keyword and consumer research for Pinterest should be a core consideration when you start to create boards. They provide a great opportunity to tell Pinterest’s search engine how you categorize your products, which will only aid visibility. They are also the first thing users will see when they come to your profile, so it is worth thinking this through. Nordstrom is often cited as the market leader in this sense. Their boards cover pretty much every interaction one could reasonably expect a consumer to have with their brand. This consumer insight is combined with a subtle nod to keyword search trends, with board titles including ‘Style Under $100’, ‘Winter Fashion’, and ‘Beach Wedding Ideas’. They steer clear of disrupting the user experience and still manage to include popular keywords. This approach should be seen as the blueprint for creating and optimizing Pinterest boards. However, boards need to be populated with high-quality Pins if they are to gain popularity. There is art and science to the creation of a perfect Pin. Although there will always be an instinctual creative drive behind the best campaigns, there are still some clear rules of thumb that we should all follow. Get your proportions right. The optimal aspect ratio for a Pin is 2:3 (600 px wide by 900 px high). This is particularly important on mobile, but Pinterest prefers to display longer images on desktop too. Use multiple colors. Images with multiple dominant colors get re-pinned 3.25 times more than their monochrome counterparts. Have a purpose. We need to understand the purpose of each Pin. Users create mood boards that they will return to multiple times, after all. Think about how you can be of repeat value to someone, rather than just pushing commercial messages. Step-by-step guides and tutorials work well in this regard. It’s important to get descriptions right for SEO on Pinterest. For all of its significant merits as a visual discovery platform, text still matters. Don’t be afraid to include detail, as this will help Pinterest locate and serve your images for relevant searches. A great way to do this is to use the description space to add to your image, rather than just repeating what it says via text. 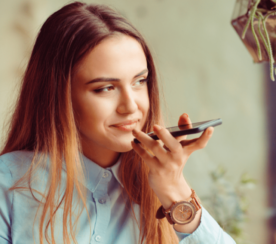 Tell your audience how the product will benefit them, how they can use it, or an interesting fact about the product they wouldn’t otherwise know. You can include up to 500 characters, which can all be viewed when a user clicks to see your Pin. There is typically no need to go to that upper limit, however. A couple of sentences of around 100 characters in total is sufficient to provide some good detail. Avoid using hashtags in your descriptions. These tend to be distracting and don’t add anything in the way of ranking value. Link your Pinterest account to your other social media accounts. This will increase awareness within your existing followers on other platforms. 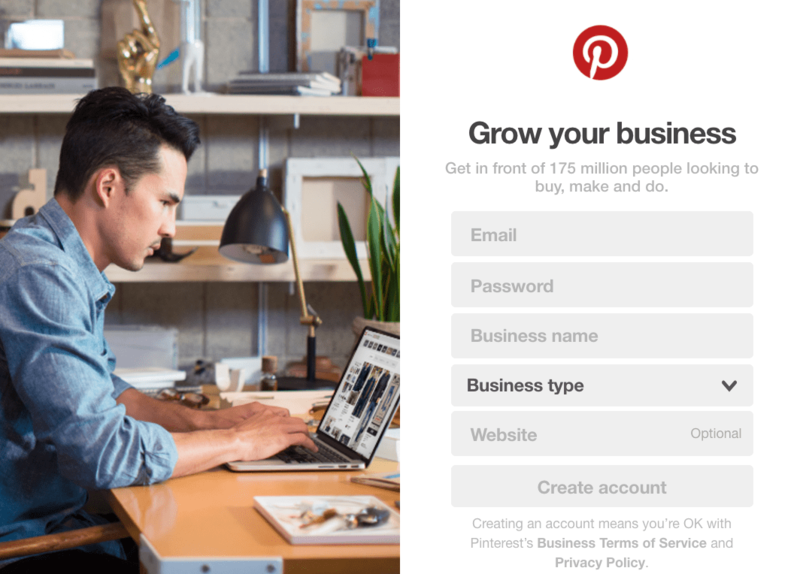 Invite relevant Pinterest influencers to collaborate on a board to grow your own following. Use a website like Canva to create mosaics and multi-image Pins. This allows a bit more freedom for creativity and room to include more within Pinterest’s vertical image format. Pin frequently. This study from Buffer found that you should aim for at least five Pins per day. These Pins can be scheduled ahead of time. Follow relevant boards. This will start to build up a network in relation to your profile. Measure your performance. Pinterest analytics will give you a lot of insight into how your profile is performing in organic search, and integrated dashboards like Datorama can now pull in Pinterest data. Pinterest’s Lens technology is a market leader in visual search. By pointing a smartphone camera at a household item or piece of clothing, Pinterest can identify the object and suggest thematically related Pins. Lens is a fascinating piece of technology that will reward content creators who put the time and effort into image optimization. This involves the SEO basics, but it extends beyond this into collaboration with photographers and designers. Going back to a screenshot I used earlier in this article, I also uploaded this image to Pinterest to see how the platform evaluates content. Of interest here is the visual similarity between the image I posted and the Related Pins below (apart from the paid ad for bed linen on the right-hand side). Pinterest is getting a lot better at understanding the component parts of an image. Its image recognition technology has identified the pie charts in my screenshot and suggested other popular pie chart-based posts. I made no reference to the shapes within my description, so Pinterest has had to figure this one out on its own. This is important to note. If SEO comprises anything that helps content rank organically, on Pinterest we need to be thinking about aesthetics in tandem with keywords. Pinterest takes SEO seriously. They know that it is a cost-effective way to drive traffic, but they also know it takes a lot of work. This fascinating post on Medium from 2015 details exactly how fanatical Pinterest are about finding the right SEO formula. They rank for a lot of keywords, as a result. The screenshot below is taken from Searchmetrics and shows the significant improvement Pinterest has seen over the past 5 years. We can make great use of Pinterest as a platform for our own SEO efforts. By identifying the relevant keywords that Pinterest ranks for, we can optimize for the most profitable queries with our Pins and boards. If Pinterest deems you relevant enough to rank for that keyword via its own search algorithms, your organic Pinterest traffic will increase significantly. This will allow you to prioritize your Pinterest SEO efforts, as you can target the keywords that will drive most value from both Pinterest search and Google search.